His first real outing after that was in June at Queen’s, the Wimbledon warm-up event, against his good friend Nick Krygios. Krygios was lashing his topspin forehands and massive serves. I was courtside and hadn’t until then realised just how forceful and talented a player Krygios was. 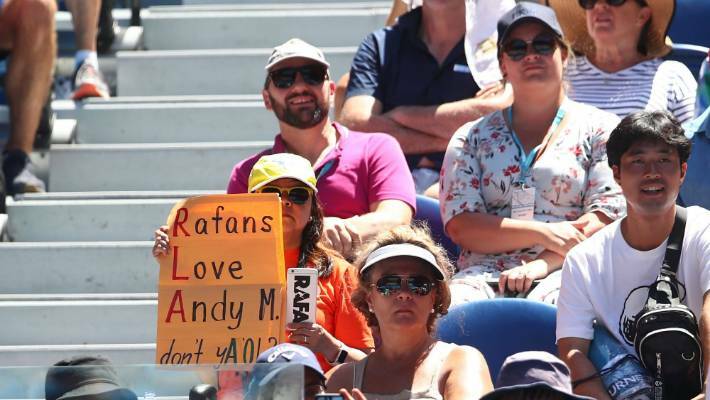 A Rafael Nadal fan shows support towards Andy Murray during the first round match between Rafael Nadal of Spain and James Duckworth of Australia at the Australian Tennis Open. His power was massive and Murray’s ground strokes were probably half the pace after his long lay-off. But he soaked up that power and somehow managed to win the second set. Half way through the final set, to a collective groan from the crowd, Murray clutched at his hip. Two weeks later, on the eve of Wimbledon, he withdrew. Ironically, Krygios withdrew from the Washington Open a few weeks later, also citing a hip injury. He too had been clutching his hip at Queen’s. Now a tearful Murray says he plans to retire due to the pain he is suffering. He would like to leave after Wimbledon, but his surgeon doubts he will make it that far. It makes me wonder whether the players are being asked to take too much. 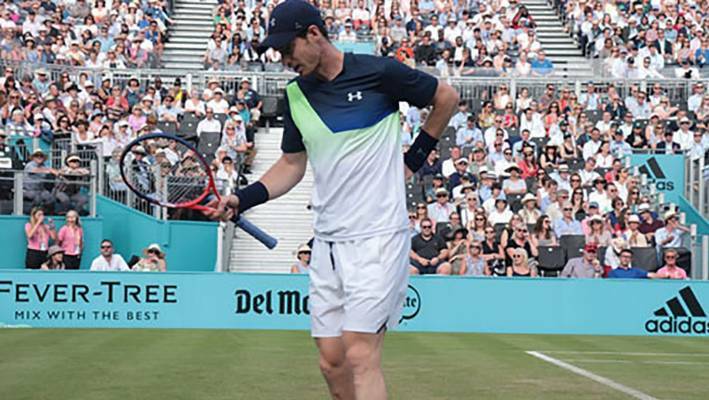 The tour is gruelling, the season too long according to many players and most of the top players are playing with serious injuries, afraid to take a break since they’ll plummet down the rankings and have to try and claw their way back up, relying on wild cards to get into major tournaments. One wonders what these players will be like in their 40s and 50s with all the strain they have put on their bodies. It’s ironic that we envisage top sportsmen and women to be supremely fit! Briton Katrina Allen is a former tennis champion and a world no 1 at Royal Tennis, the original form of the game.